Thanks to a specialized X-ray source at Lawrence Berkeley National Laboratory, researchers at the Georgia Institute of Technology have confirmed the existence of a long-hypothesized interaction between nitrogen and titanium dioxide (TiO2) – a common photoactive material also known as titania – in the presence of light. The catalytic reaction is believed to use carbon atoms found as contaminants on the titania. If the nitrogen-fixing reaction can be scaled up, it might one day help power clean farm-scale fertilizer production that could reduce dependence on capital-intensive centralized production facilities and costly distribution systems that drive up costs for farmers in isolated areas of the world. Most of the world’s fertilizer is now made using ammonia produced by the Haber-Bosch process, which requires large amounts of natural gas. Hatzell and collaborator Andrew Medford, an assistant professor in Georgia Tech’s School of Chemical and Biomolecular Engineering, are working with scientists at the International Fertilizer Development Center (IFDC) to study the potential impacts of the reaction process. The research was reported October 29 in the Journal of the American Chemical Society. The research began more than two years ago when Hatzell and Medford began collaborating on a materials mystery that originated with a 1941 paper published by Seshacharyulu Dhar, an Indian soil scientist who reported observing an increase in ammonia emitted from compost subjected to light. Dhar suggested that a photocatalytic reaction with minerals in the compost could be responsible for the ammonia. Since that paper, other researchers have reported nitrogen fixation on titania and ammonia production, but the results have not been consistently confirmed experimentally. Medford, a theoretician, worked with graduate research assistant Benjamin Comer to model the chemical pathways that would be needed to fix nitrogen on titania to potentially create ammonia using additional reactions. The calculations suggested the proposed process was highly unlikely on pure titania, and the researchers failed to win a grant they had proposed to use to study the mysterious process. However, they were awarded experimental time on the Advanced Light Source at the U.S. Department of Energy’s Lawrence Berkeley National Laboratory, which allowed them to finally test a key component of the hypothesis. 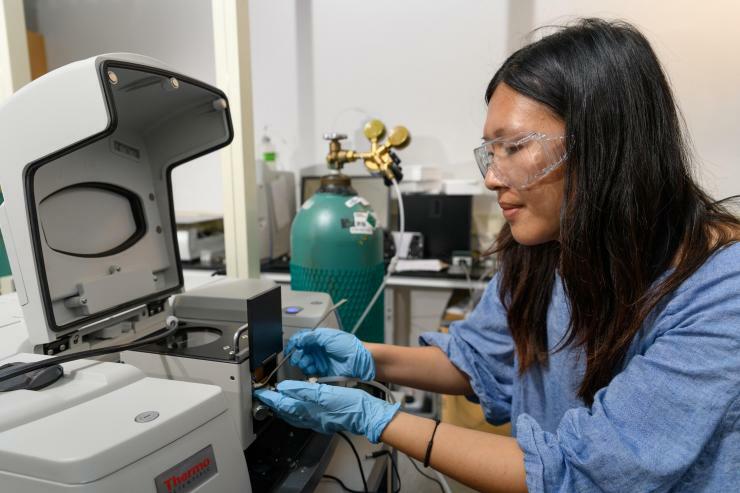 Specialized equipment at the lab allowed Hatzell and graduate student Yu-Hsuan Liu to use X-ray photoelectron spectroscopy (XPS) to examine the surface of titania as nitrogen, water and oxygen interacted with the surfaces under near-ambient pressure in the dark and in the light. At first, the researchers saw no photochemical nitrogen fixation, but as the experiments continued, they observed a unique interaction between nitrogen and titania when light was directed at the minerals surface. The hydrocarbon contamination hypothesis would explain why earlier research had provided inconsistent results. Carbon is always present at trace levels on titania, but getting the right amount and type may be key to making the hypothesized reaction work. 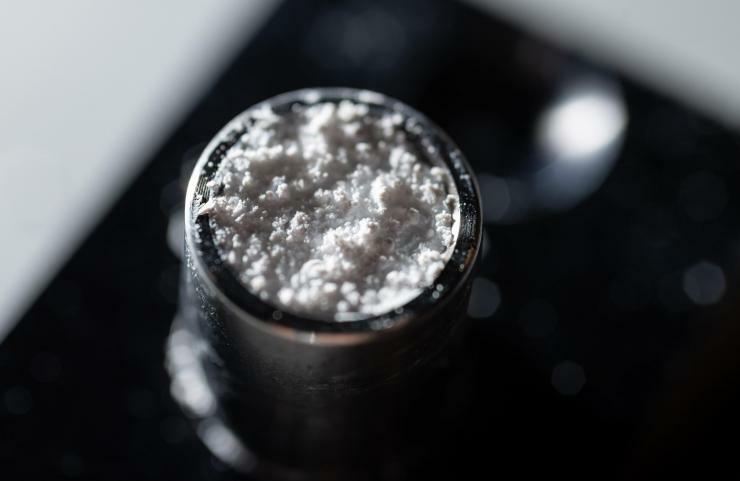 The researchers hope to experimentally confirm the role of carbon with upcoming tests at Pacific Northwest National Laboratory (PNNL), which will allow them to directly probe the carbon during the photocatalytic nitrogen fixation process. 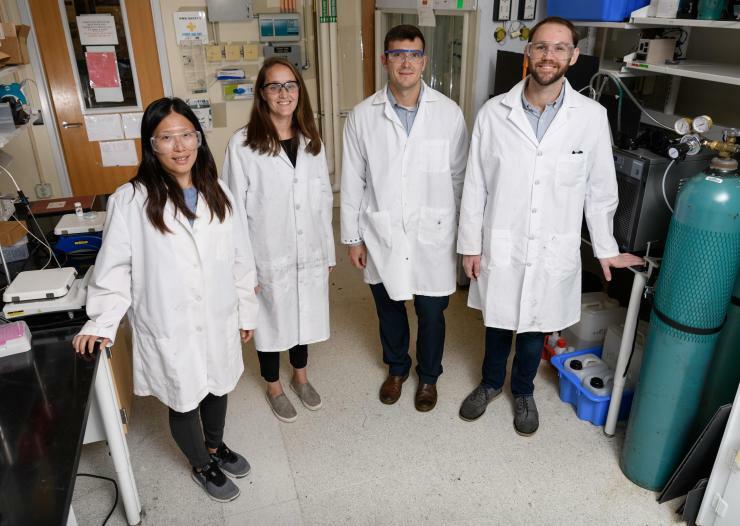 They also hope to learn more about the catalytic mechanism so that they can better control the reaction to improve efficiency, which is currently less than one percent. The research reported in the journal did not measure ammonia, but Hatzell and her students have since detected it in lab scale tests. Because the ammonia is currently produced at such low levels, the researchers had to take precautions to avoid ammonia-based contamination. “Even tape used on equipment can create small quantities of ammonia that can affect the measurements,” Medford added. Though the amounts of ammonia produced by the reaction are currently low, Hatzell and Medford believe that with process improvements, the advantages of on-site fertilizer production under benign conditions could overcome that limitation. Hatzell credits cutting-edge surface science with finally providing an explanation to the mystery. The research was supported by startup funds from Georgia Tech to Hatzell and Medford, and by Georgia Tech’s Serve-Learn-Sustain initiative. The effort also received a boost from Georgia Tech’s Technological Innovation: Generating Economic Results (TI:GER®) program, which supported research into potential stakeholders for scale-up of the process. 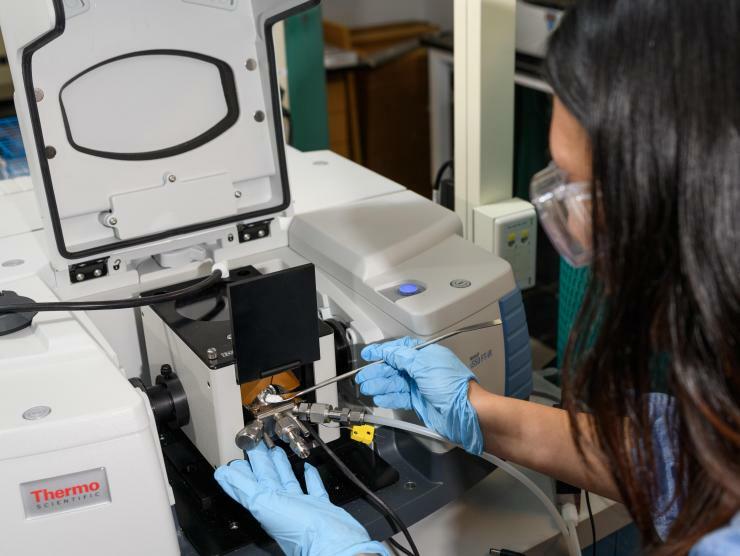 In addition to those already mentioned, the research included Marm B. Dixit and Kelsey B. Hatzell from Vanderbilt University and Yifan Ye and Ethan J. Crumlin from Lawrence Berkeley Laboratory. This research used resources of the Advanced Light Source, which is a DOE Office of Science User Facility under contract number DE-AC02-05CH11231.